JERUSALEM (JTA) — President Barack Obama had three goals for his first presidential trip to Israel last week. He wanted to persuade Israelis that the United States is committed to preventing Iran from acquiring a nuclear weapon. He wanted to promote the renewal of Israeli-Palestinian negotiations, albeit without any specific “deliverables.” Most of all, however, he wanted to charm the pants off the Israeli people. He dropped Hebrew phrases into his speeches. He quoted the Talmud. He invoked the story of Passover. So, nu, did it work? “Does anyone doubt, still, that we’re talking about a friend here?” Itzik Shmueli, a Knesset minister from the center-left Labor party, wrote on Facebook. Obama earned qualified praise even from Naftali Bennett, the pro-settler chairman of the nationalist Jewish Home party who now serves as minister of commerce and economics. A smiling Obama appeared side by side with Israeli Prime Minister Benjamin Netanyahu and President Shimon Peres to talk about their two nations’ shared values and security needs. He visited the Israel Museum, viewed the Dead Sea Scrolls, surveyed the Iron Dome missile defense system and saw a host of Israeli high-tech innovations. Before leaving for Jordan Friday, he visited the graves of Theodor Herzl, the father of modern Zionism, and slain Israeli Prime Minister Yitzhak Rabin. For the most part, the visit was a cornucopia of compliments and commitments to Israel’s security and the U.S.-Israel relationship. Before the trip, Israelis were extremely wary about the U.S. president. He had visited Israel twice before, most recently in 2008, but Israelis were irked that he skipped Israel on a Middle East swing in 2009 that included his famous Cairo speech. They were put off by his public calls for a freeze on settlement building early in his presidency. They compared him unfavorably to his two predecessors, George W. Bush and Bill Clinton. 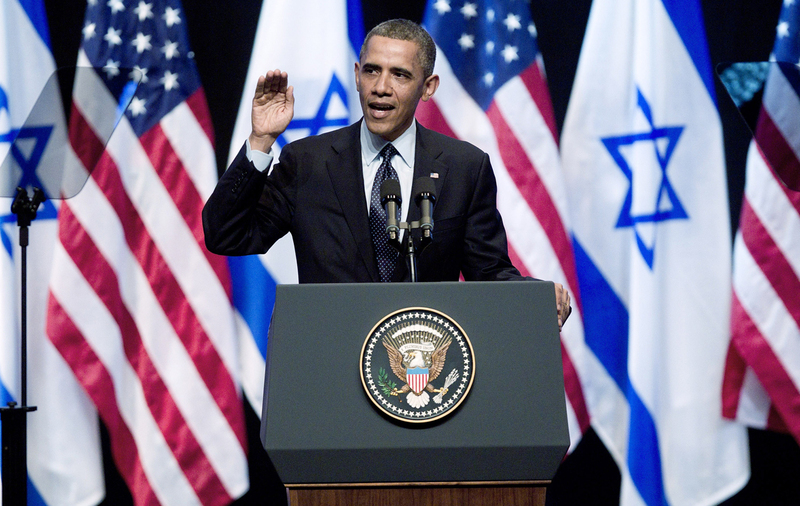 In a 2009 poll, fewer than 10 percent of Israelis had a favorable view of Obama. And a poll conducted this month by the Israel Democracy Institute showed that 54 percent of the 600 Jewish Israelis surveyed said they did not trust Obama to consider and safeguard Israel’s interests. After his speech last Thursday, however, some listeners said they had warmed to him. Mostly, though, Obama sought to use this trip to reassure Israelis, including on Iran. Even many of those who disagreed with Obama’s policies on Israel said they were encouraged by his decision to visit Israel. Tel Aviv University student Yanai Cohen, who attended the Thursday night speech, said he doesn’t agree with the two-state solution and felt that Obama had disparaged Israel’s government. But, he said, what mattered most now was Obama’s decision to visit Israel. At least four rockets were fired from Gaza at southern Israel on the second day of Obama’s visit. Two of the rockets fired last Thursday morning landed in Sderot, damaging one home. The other two rockets are believed to have landed in Gaza. The attack occurred hours before Obama traveled to Ramallah in the West Bank to meet with Palestinian Authority President Mahmoud Abbas. Obama condemned the attack during his public remarks. There was no claim of responsibility for the attack, the second on southern Israel since an Egyptian-brokered truce ended the Gaza conflict, Israel’s Pillar of Defense operation, in November. It was the second attack in a month. I have learned that the period of time after Pesach is called the “counting of the omer.” We are said to be counting the days from Passover until the holiday of Shavuot. What is the point of this counting, now that we have calendars and can simply look up the date of Shavuot? Is it one of those things we do just because they used to do it, or is there some other reason for doing this count? The counting you are referring to, which begins on the second night of Passover, is called sefirat ha’omer. It is one of the 613 mitzvot of the Torah: “You shall count for yourselves, from the morrow of the rest day (Pesach), from the day when you bring the Omer (offering) … seven weeks … ” (Leviticus/Vayikra 23:15). This means that we are meant to actually stand up and count, day by day, the 49 days from the second day of Pesach until the Shavuot holiday. There are several levels of understanding of this mitzvah. When one has an event coming up that person is truly excited about and looking forward to, the person counts the days until that time arrives. For the Jewish people, the most exciting time in our history was receiving the Torah at Mount Sinai. This is the time we achieved the greatest intimacy of all time with the Almighty. At that time, we became an eternal nation and received our “marching orders” for the upcoming thousands of years; how to be a light among the nations and elevate ourselves to unique spiritual greatness. Although this transpired more than 3,300 years ago, our tradition teaches that our holidays are not mere celebrations of historical occurrences. We have often explained in this column that our holidays recur yearly; the same spiritual light revealed by the almighty at this time of our history returns when we arrive at the same time of the year it occurred so long ago. In a sense, the Torah is given to us yearly at Shavuot. Hence, year after year, we again count the days from our freedom (Pesach) until the purpose of that freedom (Shavuot). This shows our anticipation and excitement to again experience the spiritual heights we attained on Shavuot. It also connects Pesach and redemption to its ultimate purpose. Going one step deeper, the period of sefirat ha’omer is one of growth. In order to receive the Torah, we need to transform ourselves to be worthy receptacles fit for that great merit. The Mishna (Pirkei Avot, Chapter 6) enumerates 48 study habits and positive character traits through which one merits acquisition of Torah. The 49 days of counting are a period of acquiring these 48 ways and, on the last day, fusing them into oneself, ready to receive the Torah on Day 50: Shavuot. The Kabbalistic sources provide yet another vehicle for growth through the sefirat ha’omer, based upon the concept of sefirot, or 10 levels of existence. During these 49 days of sefirat ha’omer, it is a time to perfect ourselves in relation to the seven lower sefirot — those that reflect God’s interaction with the physical world. These seven sefirot interact with each other, like DNA, where every cell of the body has within it the DNA of every other part of the body. Each sefirah contains all the aspects of each other sefirah within itself, hence the seven multiples of seven, or 49 days of counting. In order to tap into this spiritual energy we must actually count, connecting to the day and marking it as a time of growth and introspection, taking us forward from Pesach toward Shavuot. Admission is $18. You can select the same number of items you bring, or pay $5 for each item. This is a fundraiser and all the money collected will go to Hadassah. The location is at a private residence in the Coit and Campbell area. Call the Hadassah office, 214-691-1948, with your RSVP, and you will be advised of the exact address. The Temple Shalom Sisterhood will honor Elaine Wolff as the 2013 Woman of Valor. A native Texan from Houston who has spent most of her life in Dallas, Elaine’s smile and southern hospitality are just a few of the traits that make others feel so welcome around her. Elaine represents all that exemplifies this honor with a spirit of volunteerism that has included being one of the founding members of sisterhood, chairing many of the committees, and currently serving as a sisterhood director. Another title she holds is Lifeline member of the YES Fund (Youth Education and Special Projects) of the Women of Reform Judaism. Elaine’s devotion to Temple Shalom is shared with her husband, Ron, as they were among the founding members of the synagogue. 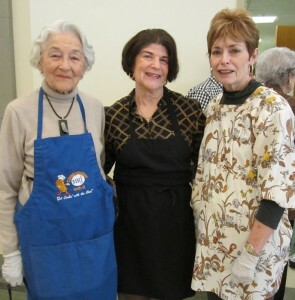 She and Ron also chaired the synagogue’s High Holy Days food drive for five straight years. Her family includes son Blake, daughter-in-law Michele and daughter Shawn. When Elaine’s children went to college, she also returned to school and earned a degree in finance that she used for many years. Now retired and the proud grandmother of Jared and Ethan, she enjoys reading, mah jongg, working out, doing crossword puzzles and watching HGTV. She still finds time to volunteer for sisterhood and Temple Shalom activities, and you can often see her smiling behind the counter at the Traditions gift shop. 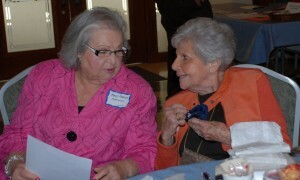 Elaine will be honored from 6-9 p.m. Sunday, April 21 at Temple Shalom Sisterhood’s annual spring event. The event, with the theme “Comedy and Cocktails” and including dinner and drinks, will benefit Women of the Wall and Patriot Paws. For information, call Keo Strull at 214-662-4720. Beverly Tobian is among three women who will receive the 2013 Maura Women Helping Women Awards at Dallas Women’s Foundation’s Leadership Forum & Awards Dinner, presented by AT&T. The event, also featuring nationally recognized business leader Linda G. Alvarado as keynote speaker, will begin with cocktails at 5:30 p.m. Thursday, April 18 at the Omni Dallas Hotel. The Maura Awards recognize women who lead the way in improving lives for women and girls in North Texas. Tobian is being recognized as an activist for quality of life among the community’s most vulnerable women. She is the founder and chair of the Women’s Council Health and Human Services Coalition. She has helped raise awareness of quality of life issues among city council members and has positively impacted housing, transportation and health policy. She has been an advocate for women at all stages and socio-economic levels, especially the most vulnerable — survivors of domestic violence, prostitutes and the elderly — through her work with The Family Place, the New Life Prostitution Diversion Initiative, the National Council of Jewish Women and the Older Women’s League–Dallas, among many others. Other Maura Award recipients will be Clare Buie Chaney, women’s history advocate and community volunteer, and Melendy Lovett, champion of STEM education and mentorship for girls. The foundation will present its inaugural Young Leader Award — which recognizes women under the age of 40 whose breakthrough leadership is creating a path of opportunity for other women to follow — to Veronica Torres, an organizer and advocate for Latina women’s health and professional advancement. The Women Helping Women Awards were first presented in 1978 by the Women’s Center of Dallas, and were later hosted by SMU and the Women’s Museum before moving to Dallas Women’s Foundation this year. The awards were renamed the Maura Women Helping Women Awards in 1995 to honor Maura McNiel, the founding president of the Women’s Center. For table and ticket information, visit www.DallasWomensFoundation.org or call 214-525-5314. Mazel tov to Rabbi David Singer of Congregation Shearith Israel who was named to the Forward’s list of the 36 most inspiring rabbis. Rabbi Singer, new to Shearith this year, was named for the development of the innovative Makom program, which has inspired young adults to celebrate Shabbat out in the Dallas community. Speaking of local rabbis in the news, Temple Emanu-El Senior Rabbi David Stern will be the scholar in Residence on an American Jewish World Service trip to Nicaragua from June 16-23. Cost of the trip is $2,600, and it sounds pretty amazing. According the AJWS website, participants will travel from the colonial capital of Managua to the forested hills of Matagalpa and will meet AJWS grantees working to empower communities whose rights were eclipsed by decades of authoritarian rule and conflict. For information about the trip, visit ajws.org. Though we’re in the midst of Passover, it doesn’t hurt to look ahead to the next observance, that being Yom HaShoah, or Holocaust Remembrance Day. This year, Yom HaShoah begins at sundown Sunday, April 7 and ends at sundown Monday, April 8. To commemorate the six million — and more — who were lost during this horrific time in history, the Jewish Federation of Fort Worth and Tarrant County is sponsoring a community Yom HaShoah program, beginning 10:30 a.m., April 7 at Congregation Ahavath Sholom, 4050 S. Hulen St., Fort Worth. Angie Kitzman at the federation tells us that the program will offer a traditional memorial service, with each survivor lighting a yahrzeit candle in a Shoah menorah, created by Julie Berman and made by Raymond Marks. Also on tap will be a screening of the movie “Sugihara,” which details the story of a Japanese diplomat who saved thousands of Jews from the Holocaust. Age-appropriate programs for children and teens will be available (though 11th- and 12th-graders are invited to participate in the adult program). Childcare will be available for children younger than age 4; to make arrangements call the Federation office at 817-569-0892. We’re told that more than 100 guests attended the Isadore Garsek B’nai B’rith Lodge annual Passover mini-seder, which took place Wednesday, March 20, at Beth-El Congregation in Fort Worth. Judging from the photos, it looks as though there was plenty of enjoyment to go around. Thanks to Barbara Rubin and the folks at Jewish Family Services for sending along the pictures. Actually, “Check it Out II: What Everyone Needs to Know” is a program offering information about breast cancer including where to go if you’re diagnosed with this disease and what’s out there in terms of the latest treatment. The Fort Worth Chapter of Hadassah is behind this informative, free-to-the-public program, which takes place at 7 p.m. Wednesday, April 17 at Beth-El Congregation, 4900 Briarhaven, Fort Worth. The highlight will be a panel discussion about the newest developments in this field; breast cancer survivor Joan Katz will moderate. Other panelists are Sherree Bennett, director and nurse navigator at the Joan Katz Breast Center at Baylor All Saints Medical Center; Dr. David Johnston, a fellowship-trained breast radiologist at Solis Women’s Health; Arielle Yorczyk, a certified genetics counselor at the Moncrief Cancer Institute and UT Southwestern; and Jane Oderberg, program director and social worker at Cancer Care Services of Fort Worth. Questions? Call Karen Kaplan at 817-922-8600. No, this isn’t a take-off of that great old Marx Brothers film. Rather, it’s the theme of the upcoming Daytimers event, which takes place at noon Wednesday, April 10, at Beth-El Congregation, 4900 Briarhaven in Fort Worth. Cardiologist Martin Tobey, who is also known for his program “Why Like Opera?” will do the honors, presenting music and visuals. Also on tap will be staff from the Fort Worth Opera Festival, including customer service manager Dennis Yslas, who will have season brochures and a special rate for attendees. To make a reservation, or for information, contact Barbara Rubin, 817-927-2736 or Larry Steckler, 520-990-3155. Prepaid reservations are $50 per person; for more information call 817-731-4721. At least, not according to the sisterhood at Congregation Beth Israel in Colleyville. This year’s mitzvah project involves Mother’s Day gift bags. The bags will contain travel-size bottles of shampoo, lotion and conditioners, along with bath puffs, fragrances and other beauty products, and are distributed to mothers in need. According to CBI’s website, the recipients are grateful for the small luxuries they otherwise wouldn’t be able to afford. Donations will be accepted through May 5 at the synagogue, 6100 Pleasant Run Road. Questions? Contact Laura Cohen, lscohen22@gmail.com or Robin BenBassett, robinbb4568@yahoo.com. How is your holiday going? 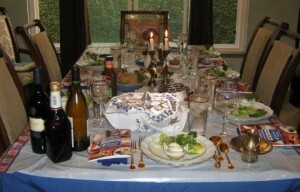 Did you have friends and family to your first or second night seders? We’d love to know about it, or any other news (weddings, births, parties, celebrations and so on). Send it on to me at awsorter@yahoo.com. Chag sameach. Several years ago, I received an email from my son who studied music at Rice University. A world-renowned teacher came to give master classes, and my son was writing to tell about it (and, of course, send pictures). His words were simple, yet so telling of the relationship of student to teacher. From those words, I heard the reverence of a student for a teacher, which has been part of our Jewish tradition for centuries. We are continually reminded that, “We are standing on the shoulders of the ones who came before us.” All of our knowledge expands by learning from others. Judaism is the religion that may be credited with the early beginnings of copyright law. When you read Talmudic text it says, “Rabbi This said to Rabbi That who said it in the name of Rabbi Who … ” However, copyright law is to protect the original — Jewish tradition is to give honor to those who said it first. Telling your “sources” gives credit to them but, also important, it gives weight to your ideas and thoughts. When my son tells whom he has studied with, he is raised in esteem as well. All professions honor those who came before — for us, as Jews, we trace our lineage all the way back. It is said that we all came from one man, Adam, so that none of us can say, “My dad’s better than yours.” This, too, is an important message to remember. 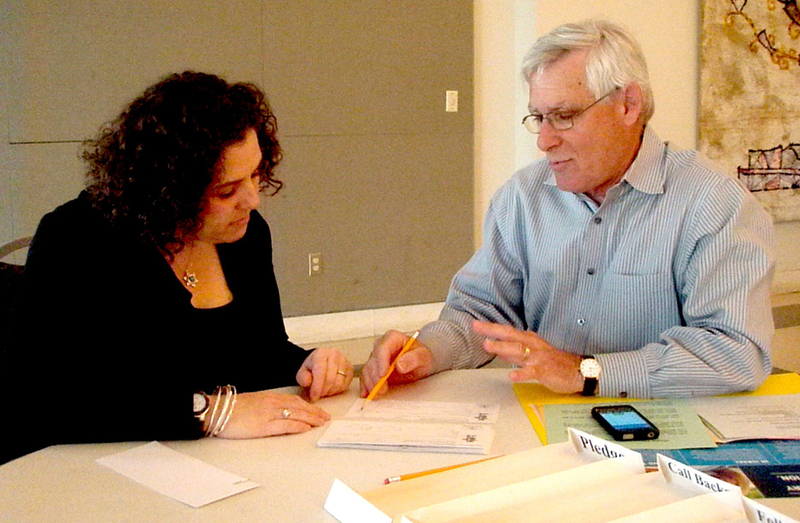 Finally, reverence for teachers is a very important Jewish value. When my son spoke of “his teacher’s teacher,” he was honoring his teacher as well as the elder teacher. This respect and reverence for the teachers in our lives is lacking in many schools. However, today, in many Jewish day schools, the tradition of students standing when their teacher (or any adult) enters the classroom continues. Our Jewish tradition values learning and those who help us learn — let us demonstrate with our words and our actions the respect and reverence those important people in our lives deserve. Laura Seymour is director of Jewish life and learning and director of camping services at the Aaron Family Jewish Community Center. Some like ‘em soft. Some like ‘em hard — but not so hard that they have to be cut with knife and fork. Matzah balls, that is. I recently attended the third annual Jewish studies banquet at Southern Methodist University, where the first course of an otherwise excellent dinner was chicken broth with matzah balls as hard as described above. I briefly discussed this culinary lapse with the young woman sitting to my right, who was Kenitra Brown, an SMU law student also working in the university’s department of religious studies. She has little to do with the menus for these events, but much responsibility for planning the events themselves. So we dropped the food discussion to talk of other things. Jewish studies programming is offered through the religious studies department; SMU also has a campus-wide religious studies club. These two organizations issue the yearly banquet invitations. I asked why I was lucky enough to get one, since I have no formal connection to the university. “All religious studies majors and minors are invited, as well as any interested SMU faculty and staff,” Brown explained. “The community list is compiled from affiliations and suggestions.” I don’t know who suggested me, but I’m certainly grateful. She also told me that this banquet series began with people looking at ways to inform both the university community and all of Dallas about SMU’s Jewish learning opportunities. An engaging event with a good meal and an interesting lecturer “fleshed out from there,” she said. The lecturers have indeed been interesting; so far, they have all been academics with specialties in areas that lend themselves to a light touch. The first presenter, in 2011, was Professor Nora Rubel of the University of Rochester. One of her religion courses covers American Judaism in relation to American “foodways,” and her banquet speech dealt with how “The Settlement Cook Book” — first published in 1901 and still a beloved homemaker standard today — transformed the Jewish American kitchen. The banquet’s centerpiece this year continued the tradition of lighthearted seriousness, as Rebecca Alpert of Temple University gave an informal slide-show lecture that went beyond her usual courses in religion and women’s studies: “Jews and Black Baseball,” it was called. After documenting the influence of the first on the second, she broadened her topic to include basketball, and we learned much about Abe Saperstein, owner/coach of the virtually unknown Savoy Big Five, the team that became the very well-known Harlem Globetrotters. Working with Brown on making these interesting programs possible are Jill DeTemple, an SMU professor who advises the religious studies club, and Serge Frolov, who holds SMU’s Nate and Ann Levine Endowed Chair in Jewish Studies. A very important word (and idea) in Hebrew is giborim (heroes). Today, more than ever, our children need heroes in their lives, and we have great heroes throughout our Jewish tradition. We read of the heroes of the Purim story, then the heroes in the Passover story. Judaism is filled with heroes — and none were perfect. We wonder if we would have the courage and strength to step forward and save others. Sometimes we become unlikely heroes. You will never know until you step up. Think about the giborim in your lives. Who were the role models and mentors who changed your life? For most of us, our first heroes were our parents and family, then we expanded our world as we grew to include biblical heroes and historical heroes. As we enter summer, camp will be a part of our children’s lives, and those camp counselors will be their heroes and role models. One goal as parents is to help our children find heroes in Jewish tradition, as well as to be the Jewish heroes in their lives. Do heroes need to be perfect? Why or why not? What do we look for in role models? Can we have many mentors? How can we be role models? For who? What do you need to know to be a role model? Why is it important to know about Jewish heroes? Does a person have to be Jewish or do something for Jewish people to be a Jewish hero? Are Jewish heroes just models for us in the Jewish part of our lives? Let us keep in our minds those throughout the world who are waiting and hoping for a hero to step us and let us find a way to take heroic steps each day. Laura Seymour is director of camping services and director of Jewish life and learning for the Aaron Family Jewish Community Center. We’re fast approaching the days of celebration and spring, of noshing and matzah, of remembering the miraculous events preceding the nation of Israel’s escape from enslavement in Egypt. I’d mentioned it before — there are plenty of seders available for attendance throughout Tarrant County if you aren’t hosting your own. There is another seder of note, however. That’s the Community Women’s Seder, which takes place from 2-4 p.m. Sunday, March 31. This will be an “at-home” seder (with “home” being the one belonging to Kim Factor). Join many of the area’s women for some female camaraderie — with the price of admission being the story of a woman who has been an inspiration. Also, an RSVP is required by Friday, March 22. To let them know you’re coming (or if you have any other questions), contact Angie Kitzman at the Jewish Federation of Fort Worth and Tarrant County at 817-569-0892 or a.kitzman@tarrantfederation.org. In the meantime, chag sameach to everyone out there — have a wonderful Passover celebration. Last Sunday was “Tzedakah Sunday” for the federation, the time of year during which the organization makes its annual calls to members of the Tarrant County Jewish community to raise funds for local programming and overseas assistance. I dropped by Beth-El Congregation to see the Mitzvah Corps — the dedicated volunteers who made calls and collected pledges — in action. It was heartening to see the dedication of the corps (Jeff Rothschild, one of the many Mitzvah Corps volunteers, was so intent on making his calls, he didn’t see the intrepid reporter sitting nearby, snapping pictures). A couple of the organizers told me that volunteer turnout was good — so here’s hoping that the positive volunteer turnout will lead to more pledges. For those with questions or concerns about breast cancer, help is just around the corner. The Fort Worth Chapter of Hadassah will present its “Check it Out II, What Everyone Needs to know NOW” at 7 p.m. Wednesday, April 17 at Beth-El Congregation, 4900 Briarhaven in Fort Worth. The highlight of the event will be a moderated panel discussion about newest developments in this field. Joan Katz, a three-time breast cancer survivor, will moderate the discussion. Panelists are Sherree Bennett (director/nurse navigator with the Joan Katz Breast Center at Baylor All Saints Medical Center); David Johnston (radiologist/tomosynthesis specialist at Solis Women’s Health); Arielle Yorczyk (genetics counselor, Moncreif Cancer Institute and UT-Southwestern) and Jane Oderberg (program director/social worker, Cancer Care Services of Fort Worth). The program is free. If you have questions, call Karen Kaplan at 817-922-8600. This is a “save the date” notification to let you know that the organization is celebrating 60 years and will observe that anniversary Oct. 18-20 with some noteworthy events. Activities are still being discussed, but a picnic, teacher Shabbat and wine and dessert event are on the drawing board. The first planning and brainstorming session recently took place; no doubt there will be more as time goes on. In the meantime, the hunt is on for those who attended the school in the past and who have children or grandchildren currently enrolled in the program. Karen Telschow Johnson and Marvin Beleck are co-chairing planning for the October event. … was an interesting program. On March 13, the organization welcomed Guy Bruggeman, art program communication specialist at Dallas/Fort Worth International Airport, who offered a virtual tour of the amazing artwork at the terminal. Each guest went home with an illustrated color catalog of the works, postcards of many of the art pieces and a refrigerator magnet of one of the round floor medallions from Terminal D (which are pretty cool). Edythe Cohen and Rosanne Margolis greeted the guests at the door; Bill Margolis and Louis Schultz presided at the food table. Emcee for the day was Mary Frances Antweil, and Bruggeman was introduced by Kenneth Baum. The next Daytimers event will be “Why Like Opera?” presented by Martin Tobey, at noon Wednesday, April 10. Guests from the Fort Worth Opera Festival also will attend. How did you spend your spring break? Is family coming into town for Passover? Have you received an honor of some kind? Did your kid? Share it with the Jewish community, via this column. For information, you can find me at awsorter@yahoo.com. 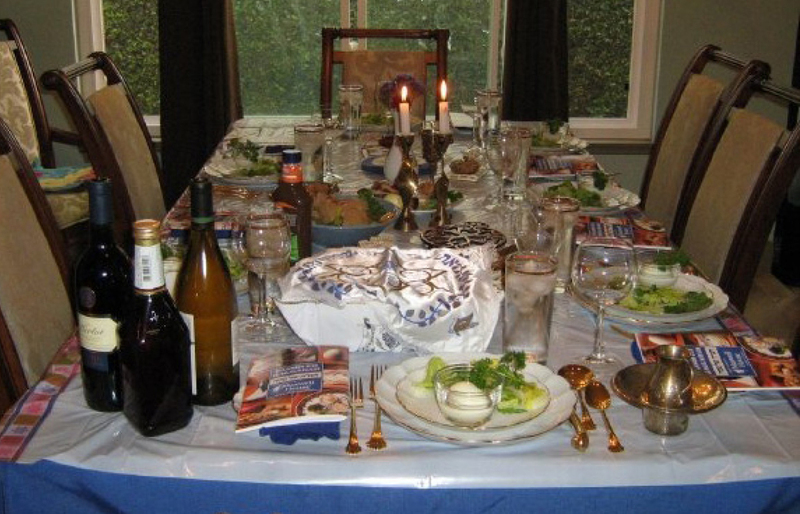 A beautiful seder table, such as the one shown above, is a wonderful place for family and friends, both Jews and non-Jews, to share the holiday and celebrate the traditions. Sheila and Don Fink have been guests at Naomi and Richard Lewins’ seders for the past seven years. And although the Finks aren’t Jewish, they feel as though they are members of the tribe, having learned so much about Passover and Judaism. The fact that Passover is a family holiday also resonates with the Finks, Don said. They have brought their children and grandchildren to the seders, and he believes it is a good way to expose them to another religion. And, of course, Passover resonates with Christians because the Last Supper may have been a seder. During the Lewins’ seders, everyone takes turns reading portions of the Haggadah, and Fink says it truly makes them feel as though they are part of the family. Having the Finks and their family at the seder is always a wonderful experience, Naomi Lewins said. She believes it is also a good way to have significant discussions and promote interfaith dialogue. Jay Abrams echoed those comments. He and his wife, Janet Bubis, invited his non-Jewish co-worker Helen Sallee and her husband, Aaron, to their seder last year; they are planning to attend this year as well. Bubis and Abrams open their door to anyone during Passover, and enjoy sharing the holiday with their family and friends. What the Sallees enjoyed most last year, Helen said, was asking questions and seeing multiple generations participate in the seder. Helen had been to a small seder before, but last year was Aaron’s first time attending one and it was a very enlightening, inspiring experience for both of them, she added. Pyramid building, planting, creating clay frogs and yoga — many people would not think those four activities relate to each other, but think again. They are all part of the Passover Experience at Temple Emanu-El’s Early Childhood Education Center. The children, ages 1-5, will participate in these activities on Friday, March 29 so they can experience the story of Passover in a hands-on way. They will also have the opportunity to taste matzah from around the world, along with singing and dancing. Providing this experience allows children to have a better understanding of Passover, according Shelly Sender, director of the early childhood center. The goal is to highlight the story of Passover and have the pupils interpret it in their own ways, she said. The children enrolled in the preschool are immersed in Passover in various ways each year, Sender said. Last year, they learned about Passover and how it related to Earth Day. During the Passover Experience, the children will go to four stations, where they will build pyramids on a big screen with light; plant parsley and chives in soda bottles; make bugs and frogs out of clay to illustrate the Ten Plagues; and do yoga poses the represent pyramids, wine glasses and the other items on the seder plate. These projects are also meant to be a springboard to other subjects, Sender said. For example, talking about frogs and bugs in the Passover story can lead to learning more about lifecycles and eating habits. The children can learn about rebirth and revival through the planting and pyramid activities. The early childhood center has also conducted seders all this week for the children to learn about the traditional parts of Passover. It’s important to learn about the traditions of the holiday, said Jennifer Richman, who teaches 3-year-olds, but the Passover Experience allows children to have fun with it. “This gives them another chance to comprehend Passover in a unique, non-traditional way,” Richman said. “We work really hard to teach the children about rituals, traditions and the meaning of Passover, but it’s neat to give them a chance to connect at their own level with different projects. Providing them new, different experiences like this really makes an impact and helps them understand even more. Pre-K teacher Maricella Garcia enjoys seeing the “a-ha” moment when the children truly understand what they are learning. I recently heard a talk about Maimonides’ rejection of mysticism. Among the mystical ideas that he seemed to reject were that the Hebrew language is intrinsically holy (citing the Talmud and Mishna as being against this, i.e. the concept of gematria, etc. ); the Jewish people are a holy nation; the Torah and mitzvot contain any intrinsic holiness; and the Land of Israel has any intrinsic holiness. So perhaps you could clarify: Are the above ideas mystical? Was Maimonides really against mysticism? Though mysticism may elaborate on these concepts, the intrinsic holiness of the Torah, of the land of Israel and so on are not reserved to mystical teachings. In fact, they are some of the most basic Jewish beliefs and do not depend at all on the Kabbalah. Clearly, Maimonides himself held of the intrinsic holiness of the Torah and the Jewish people, as is evidenced in numerous references throughout his works on Jewish Law. The Mishna, the Talmud and many fundamental Jewish texts and sources also elaborate on those ideas. The Talmud itself invokes the concept of gematria, or numerical values of Hebrew words; see for example Tractate Eiruvin 65a. This exhibits the Talmud’s obvious assumption that Hebrew is inherently a holy tongue, in which is encoded hidden, deeper meanings. Maimonides clearly was not versed in the teachings of Kabbalah in his earlier days. Whether Maimonides, at the end of his life, learned of the authentic teachings of Kabbalah and, thereby, accepted them once he properly understood them has been a matter of great debate for generations, and the jury is still out. In practice, the question of Maimonides’ acceptance of Kabbalah is irrelevant to the above questions of intrinsic holiness of the Torah, etc, as mentioned above. In addition, even if Maimonides, in fact, rejected the Kabbalistic tradition, the overwhelming majority of sages at his time and ever since have completely accepted that tradition. The Kabbalistic system developed by R’ Yitzchak Luria, (the renowned Ari’zal) of Egypt and Safed, became the foundation for most Kabbalistic studies throughout the world. The leaders of Lithuanian, Chassidic and Sephardic Jewry — in short, nearly all of world Jewry, accepted it. To reject this tradition would be to reject what has been accepted as mainstream Jewish thought for many centuries. Even R’ Samson Raphael Hirsch, who expounded a belief system that seems to use purely rational ideas bereft of mystical thoughts, wrote his “Horeb” and other works only after deeply consulting the Zohar and other Kabbalistic texts. As we mentioned above, Hebrew, known as lashon hakodesh (the holy tongue), is embedded with profound, hidden meanings. Besides Maimonides’ observation that Hebrew is holy because it contains no words describing baser human acts, it is the language the almighty spoke when creating the world; the words themselves are the source of the objects created by them. Hence the words for object, davar, and word, dibur, have the same root in Hebrew. The object emanates from its source, its word. Furthermore, that object continues to “speak” its “word,” its purpose and message in being part of the creation. This I bring as one example of our understanding of the kedusha, or holiness of God’s creation. Other examples apply to the holiness of the Torah, mitzvot, Jewish people and the Land of Israel. We don’t have the space to elaborate on them all. These ideas are not mystical, but basic Jewish belief. The mitzvah upon which the holiness of our people is built is Kedoshim T’hiyu, “You shall be holy, for holy am I, the Lord your God” (Leviticus 19:1).